Have a room in your home that is looking a bit too cramped? Try out one of these affordable fixes. 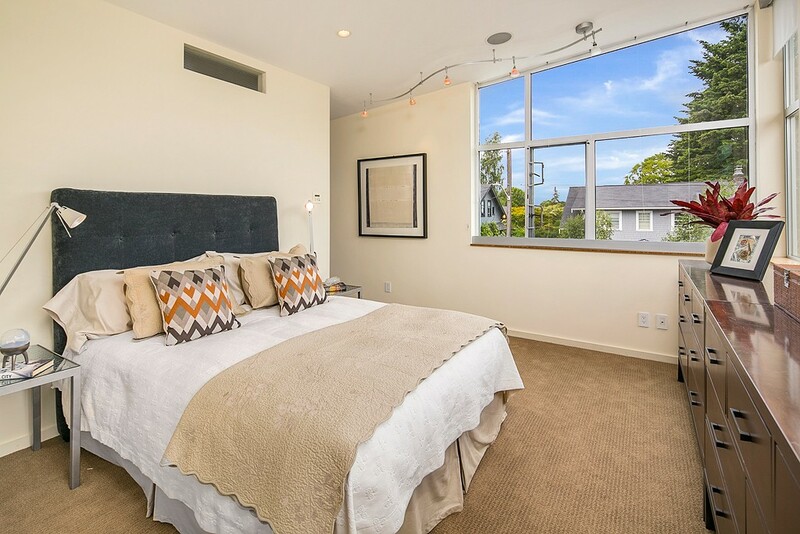 Hanging curtains higher than the window frame and keeping them wide open will make a room seem more spacious and will also allow more natural light to fill the room. 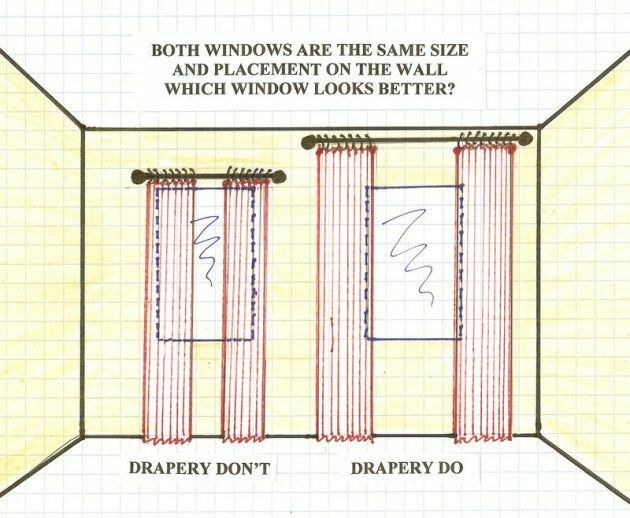 This is especially important if you have low ceilings. 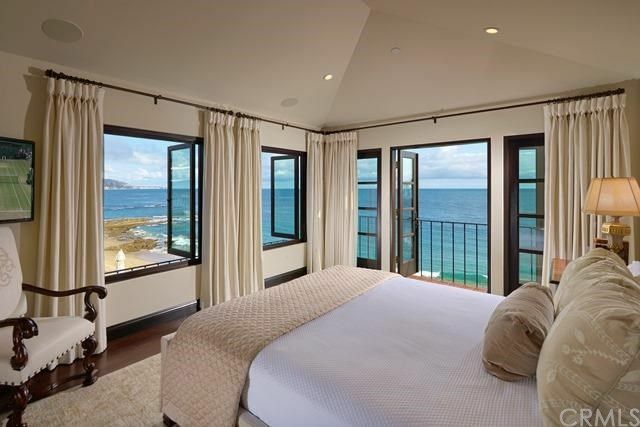 Here is a perfect execution of the “High and Wide” concept in a Laguna Beach Home currently listed by Coldwell Banker Residential Brokerage. According to our friends at Apartment Therapy, shiny surfaces are a great way to make a room look larger. This holds especially true for a kitchen. Like a reflective mirror, stainless steel appliances, glossy floors, satin paint, glass tiles, and sleek cabinets can create an illusion that causes a room to appear bigger. 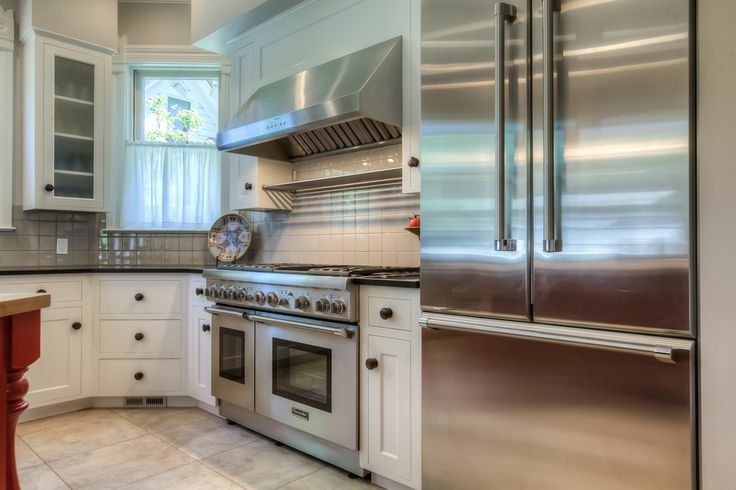 You can see an example of this from the stainless steel refrigerator in this Corvallis, OR home currently listed with Coldwell Banker Valley Brokers. When you are furnishing a small space it is important to ensure you have an appropriate balance of negative and positive space. One way you can make a room look larger is by choosing furniture that is see through like a glass table or chairs that have open backs. The living room table in this Charleston, SC home is a great example of this concept. Using a mirror to make a room seem bigger is the oldest trick in the book for a reason! Hint: The best way to maximize a mirror’s magic is to position it across from a window to take advantage of the power of natural light. See the magic in action in this dining room? See more of this $17 million home currently listed with Coldwell Banker Residential Brokerage. It’s no secret…using the color white is the best way to make a room look more spacious. If an all white room just isn’t your thing then sticking to other light colors like neutral tans or soft pinks, yellows, greens and blues are your next best bet. Need help getting started? Take a peek at these 10 No-Fail Paint Colors for Small Spaces from This Old House. The neutral color of this room plays especially nicely with the pop of blue from the view outside. See more of this home currently listed with Coldwell Banker BAIN. Looking for more home decorating tips? Get inspiration here.